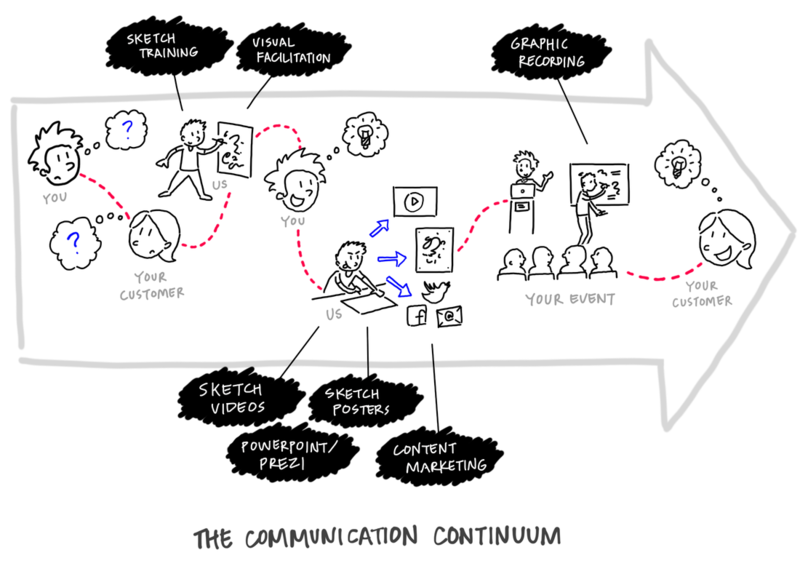 Our Story - Whiteboard animations Melbourne: professional explainer videos, videoscribing and sketch videos. Owner and Chief Doodler at Sketch Group, Matthew Magain, created his first animated video in 2012. Inspired by the RSA Animate series, the video was based on his work as a User Experience Designer, and titled What the @#$% is UX Design? It turned out to be pretty popular—to date it has attracted well over 500,000 views on YouTube. ​This experience drove home for Matt the huge potential for this format—and an opportunity to combine his interest and skills in storytelling, illustration, and technology. Today Sketch Group employs a growing team of illustrators, videographers, copywriters, producers, and graphic facilitators, all with the shared vision of telling the world’s stories through unique, compelling, hand-drawn sketches. At Sketch Group we're about more than just creating videos. We believe that sketching can be transformational. We combine your business knowledge with our expert visual thinking skills to simplify the complex. Our talented team takes a unique, collaborative approach to problem solving, helping our clients tap into their own creativity to achieve the best result. This fundamental belief manifests itself in the work we do for our clients—the videos, live sketching, and training courses we've delivered throughout Australia, South East Asia and Europe. How we can best help you depends upon where you sit on the communication continuum. Interested? Let us help you bring your story to life.